Do you experience symptoms like anxiety, fatigue, depression, insomnia, muscle cramps or others that just seem to persist? Or, if your health is already pretty good, would you like it to be even better? If so, here is something I have been utilizing recently that I know will be of help. Magnesium is the most important mineral in your body as it is a co-factor in 700 to 800 enzymatic processes. This makes it an incredibly important factor in your physical and even emotional health. It is more important than calcium, sodium and potassium as it regulates these minerals. Magnesium produces and transports energy, helps synthesize proteins, relaxes muscles and helps to transmit nerve signals. Almost all bodily functions are dependent on magnesium and this is why a deficiency in this important mineral can cause a wide range of seemingly unrelated symptoms. It is estimated that over 80% of all Americans suffer from an undetected magnesium deficiency and you could be one of them. What most people don´t realize is the fact that many health symptoms (which often are unnecessarily medicated with pharmaceutical drugs) are actually signs of magnesium deficiency. There is almost no disease that is not linked to magnesium deficiency one way or another. Sadly, most people (including medical doctors) don’t know about this important mineral even though there are over 37 health conditions that are intrinsically connected to a lack of magnesium. Even if you eat lots of organic vegetables, you might be at risk of magnesium deficiency. This is because the soil our food is grown in lacks this important mineral due to intensive and unsustainable farming practices. When the soil is depleted of magnesium, the plant will lack magnesium as well. Over the long term, your body will suffer from depletion of magnesium. Many doctors (including alternative health practitioners) are not aware that a simple mineral deficiency like magnesium could be at the root of your health issue. This is because even if your practitioner tests you for magnesium levels (which rarely happens), she will, most likely, only look at serum magnesium levels. In almost all cases, serum magnesium will show normal as the body tries to keep magnesium in the serum constant by pulling the mineral out of your cells and into the blood. This means that you could suffer from a deficiency without you or your health care practitioner realizing it. Also note that only 1 % of the body’s magnesium is stored in the blood, which is another reason why blood tests are not accurate. The ideal level of intracellular RBC Magnesium is around 6.5 mg/dl. If you already supplement with Magnesium, don’t take it the day of your test as this might skew the results. If you suffer from any of the above symptoms, I highly suggest you start supplementing with magnesium. You don’t necessarily need to take the Magnesium RBC test but it can help you monitor your progress after a few months of supplementation (a before and after test). There are many magnesium supplements to choose from and most of them are a waste of money as your body cannot absorb them properly. When purchasing a magnesium supplement, always look at the label to check which type of magnesium you are buying. For example, Magnesium Oxide, which is commonly found in cheap magnesium supplements is a great laxative because it draws water into the colon. However, it will do little to increase your magnesium levels. In fact, only 4% of Magnesium Oxide is typically absorbed. Magnesium Citrate, Magnesium Taurate, Magnesium Glycinate, Magnesium Malate and Magnesium Malate are better picks as the absorption rate is around 40%. According to Dr. Carolyn Dean, MD, author of “The Magnesium Miracle”, who has dedicated most of her career to researching magnesium, “ReMag Magnesium Solution” and transdermal application are the best choices. “ReMag” contains a picometer-ionic form of magnesium which is so small that it can easily pass through cell walls, making absorption very likely. It also does not have a laxative effect like most other magnesium supplements do. Want to get the above product? Use this link to get 5% off your first purchase! Epsom Salt Baths are another option to boost your magnesium levels. 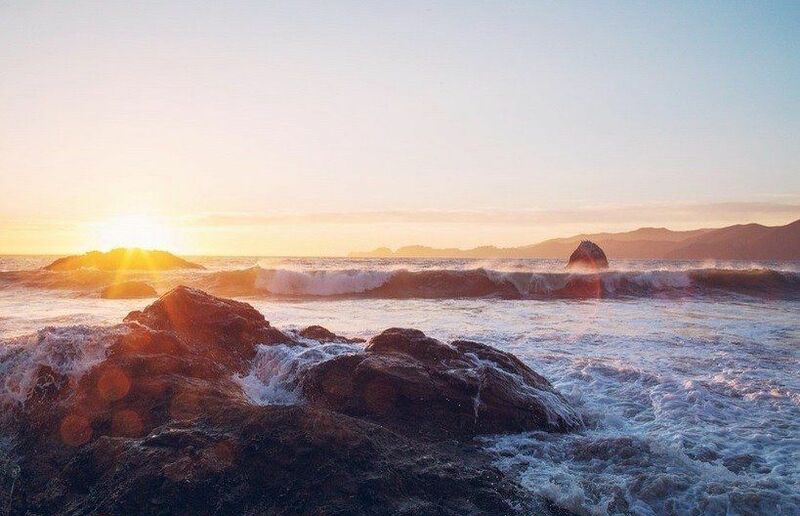 Just put 1-2 cups of magnesium rich Epsom Salt into your bathtub and soak for approximately 30 minutes to give your body a chance to absorb magnesium through your skin. You can also purchase Magnesium Chloride Flakes, mix them with distilled water and put it into a spary buttle. Spray the solution on the soles of your feet before going to bed. Your body will absorb the magnesium through your skin while you sleep, giving you a great night sleep by relaxing your muscles and dissolving tension. Depending on your level of deficiency, restoring your magnesium levels can take from a few months up to a full year. 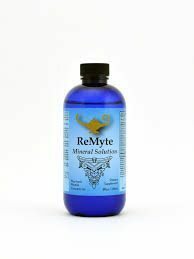 It is best to try to get your magnesium from different sources so I suggest you get a high quality supplement and also take Epsom Salt Baths. The magnesium oil from the flakes is likely the most cost-effective route. The good news is that many people experience a significant improvement of their symptoms after only a few weeks of supplementing with high quality Magnesium! The rule of thumb is to take around 6-8 mg/kg or 3.0 to 4.5 mg/lb of elemental magnesium per pound of body weight per day. Important: Magnesium is always bound to another substance, like Citrate or Malate, which all have their specific weight. For example, 1,000mg of Magnesium Citrate contains only around 125 mg of elemental magnesium and the above “rule of thumb” pertains to elemental magnesium, so always check the label. It is best to start with a small amount and then increase your intake. You also want to spread the doses throughout the day. Magnesium is generally considered a very safe supplement because in the case of “overdosing”, your body will simply eliminate it. However, as stated above, some people might experience a laxative effect so you need to simply try out how much magnesium you can tolerate (This especially holds true if you take a low quality Magnesium supplement). 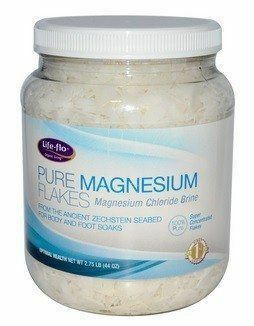 Of course, I suggest getting the highest quality magnesium supplement as you will be able to see results much quicker. Sometimes, when your Magnesium levels are very depleted and you start too quickly with supplementation your symptoms can initially get worse. This is NOT a reason to abandon supplementation altogether but you might want to take less and then slowly increase your dosage. A worsening of symptoms can happen if your body is very toxic and because Magnesium is needed for proper detoxification, your body might suddenly dump too many toxins into your blood and overwhelm your system. Also, if you suffer from extreme fatigue you might to want to start slow as your body needs to first get used to functioning at a higher level. The only real contraindications to taking magnesium are: kidney failure, excessively slow heart rate, bowel obstruction and Myasthenia gravis. I hope this article was helpful. Whatever symptoms you are experiencing, I highly suggest you consider supplementing with magnesium. Please share your story below and let us know how your health improved through the “miracle” of magnesium! 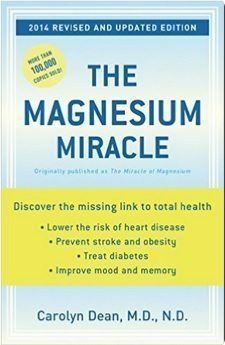 PS: If you want to learn more about this exciting topic, I highly suggest you read “The Magnesium Miracle” by Dr. Carolyn Dean, MD.